From the factory, Jeep JK's ship with a cheap, plastic skid plate that's laughable at best! 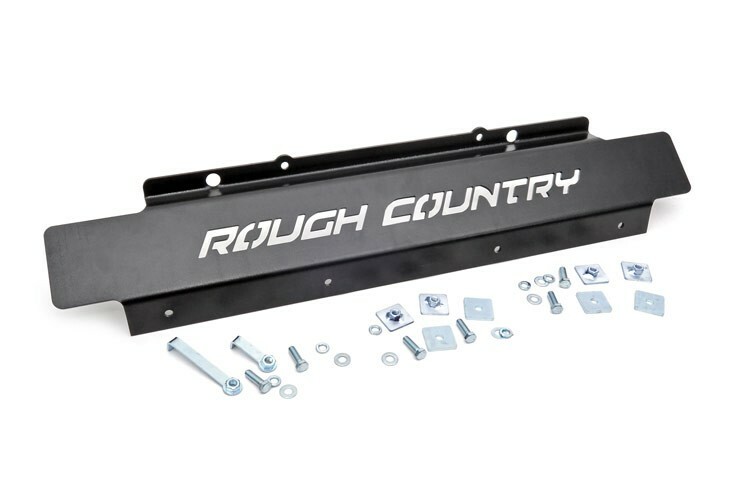 Protect the front of your Jeep with this eye-catching, laser-cut front skid featuring the Rough Country logo. 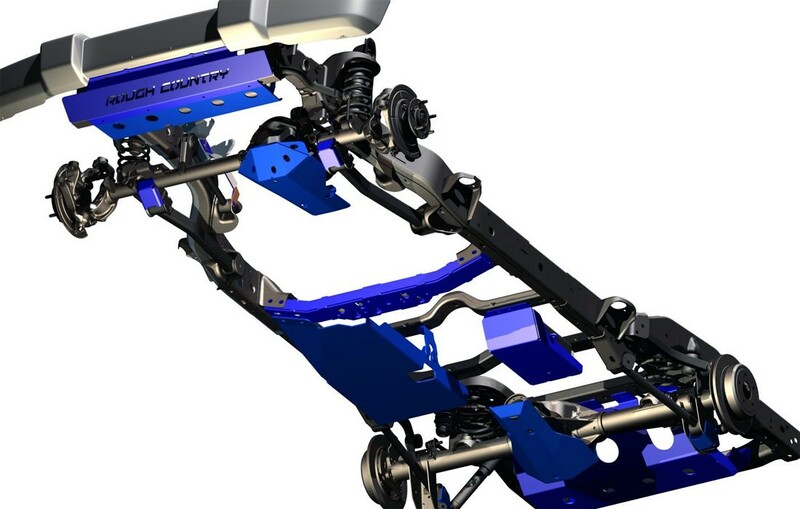 Fits plastic factory front bumper ONLY. Will NOT work with Hard Rock or 75th Anniversary bumpers.